The director Gregory La Cava, who began his career drawing cartoon strips before moving into silent filmmaking, was big for a while and produced a handful of gems in the late 20s and 30s, but after he made one or two less successful films in the 40s he soon fell out of favour with Hollywood and was swiftly cast out, dying shortly after. His style and strengths were less clear and upfront than some of his peers (such as Hitchcock) which may partly explain his quick dismissal and why he’s less well known today. However, he also had a known drinking problem which caused issues with the productions he was involved with. 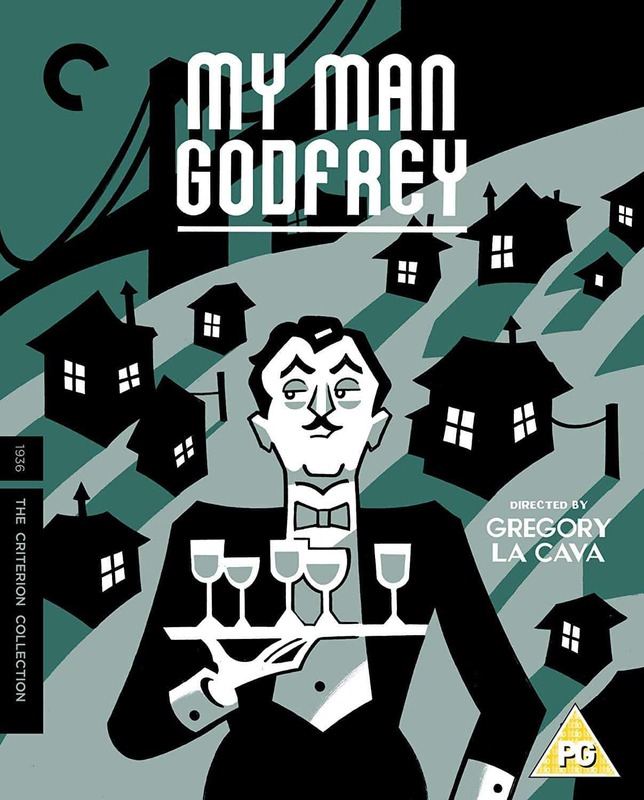 We are left with a few classics though, largely screwball comedies, and probably the best known of these is My Man Godfrey, which Criterion are releasing on Blu-Ray in the UK. I’d never seen a La Cava film prior to this and I love a good screwball comedy, so I couldn’t resist checking it out for myself. My Man Godfrey opens with the two Bullock sisters, socialites Irene (Carole Lombard) and Cornelia (Gail Patrick), arriving at the city dump to find themselves a ‘forgotten man’ as part of a scavenger hunt they’re taking part in at an exclusive party. 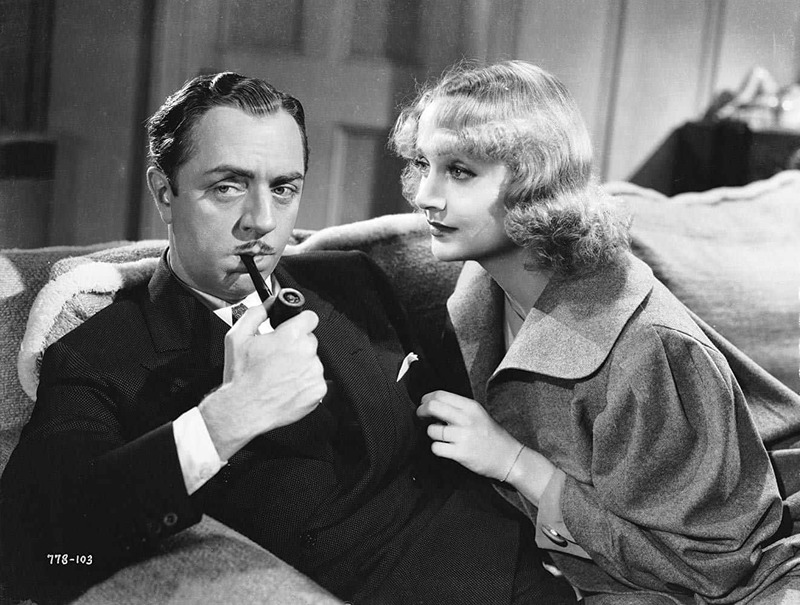 The vagrant Cornelia first tries to ‘lure’ is Godfrey (William Powell). He is of course disgusted by this insensitive game the women are playing and tells Cornelia this, pushing her into an ashpit in the process. When Irene apologises and acts more kindly towards him though, he has a change of heart and agrees to be her ‘forgotten man’ so he can damn the practise at the vulgar party and help Irene get one over on her cruel sister. After the incident, Irene is so drawn to Godfrey that she offers him a job as their family butler, which he accepts, much to the scorn of Cornelia who promises to make his life hell. However, he makes an exceptionally good butler and the rest of the family warm to him and keep him on. Irene falls ever more madly in love with him too, although Godfrey keeps her at arms length as best he can. As the film moves on, we realise there’s more to Godfrey than meets the eye and it seems he has something planned for the Bullock family. Like a number of the other great screwball comedies of the era, My Man Godfrey is a swiftly paced joy that seems effortless in its execution. Part of this is down to La Cava’s approach. He liked to work very closely with his actors before and during the production, allowing them the freedom to make the characters their own and improvise to an extent, creating an ensemble of wonderfully ‘rich’ performances. The Bullocks (who also include actors Alice Brady and Eugene Pallette) are a pleasure to watch as they bicker and fret. You could call them over the top and most are playing to type, but it’s clearly intentional and works a treat. Surrogate family member Carlo (Mischa Auer) is also enjoyable, particularly in a sequence when he tries to cheer up Irene by doing his monkey act. Powell is the rock of the piece, but he delivers his killer lines with precision timing and gets to play it loose in a superb drunk sequence. The performances aren’t so loose and improvised as to get in the way of a sharp and tightly constructed screenplay though. The dialogue is incredibly funny and witty, skewering the upper classes and their frivolous ways. The film is of course making a comment on the state of America at the time, which was still suffering from the depression and promises of prosperity being “just around the corner” seemed laughable (as commented on at the start of the film). I did have a problem with the story though. It’s more an issue of personal taste rather than a criticism of poor writing, but I found the final act lost much of the sharp edge the film had earlier on. I wanted Godfrey to stick it to the snobs, but he ends up helping them out for the most part and it finishes on a note of idealism where I wanted something more biting. The tying up of the Godfrey/Irene romance is amusing though, helping the film end on a gag after being up on its soapbox. 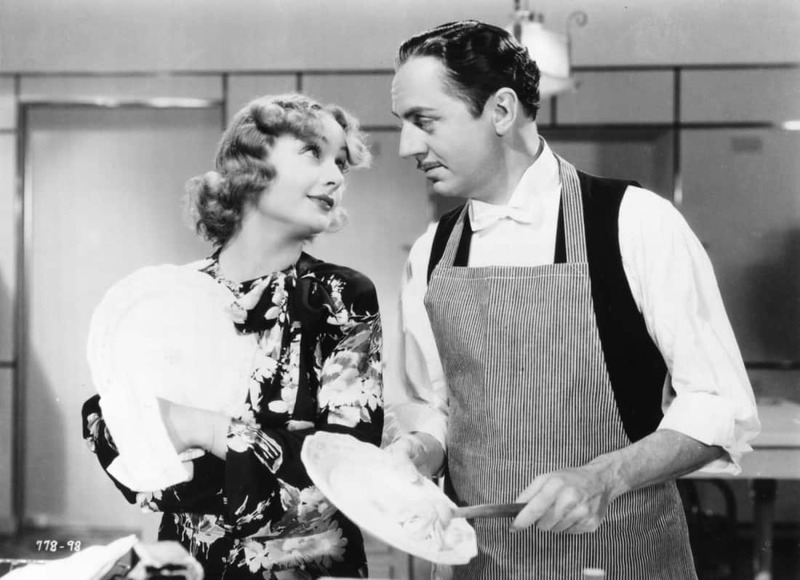 So I wasn’t totally sold on the direction My Man Godfrey took by the end, but otherwise the film is a wonderfully witty, fast moving comedy that still has some relevance as the class divide once again grows ever wider. It certainly still has the power to make you laugh, so its easy to recommend. 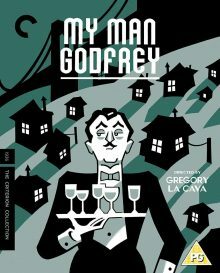 My Man Godfrey is out on 17th September on Blu-Ray in the UK, released by The Criterion Collection. The transfer is excellent, particularly considering the film’s age, with no notable damage to the print. Sound is clear too. As ever, the features here are of a high standard, particularly the Giddins and Pinkerton pieces. They provide an excellent background on the film and its director as well as offer their thoughts on the film’s strengths. Thankfully there’s little repetition between the two interviews. The radio adaptation and newsreels are a nice addition too.